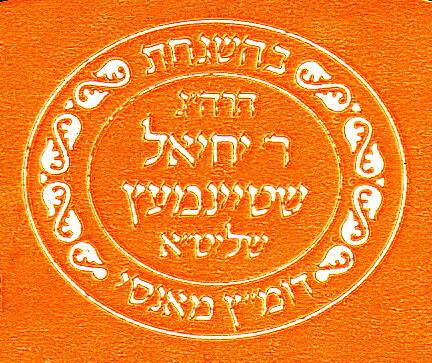 The low contrast of white text on a pale yellow background makes the original hechsher difficult to read. The orange colour shown above has been intensified to improve legibility. Authority: Rabbi Yechiel Steinmetz, Monsey NY, U.S.A.